Rent apartments in Belgodère, Corsica with swimming pools. Book affordable holiday rentals that are near a beach and golf course. This 1 bedroom apartment with swimming pool is located in Belgodère and sleeps 4 people. It has air conditioning, a garden and parking nearby. The apartment is within walking distance of a beach. 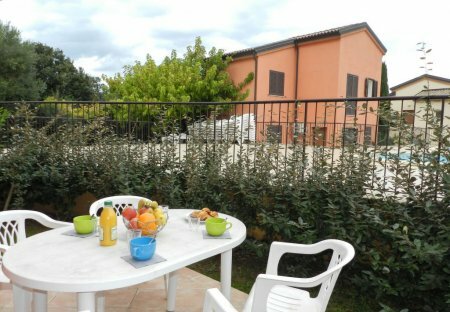 This 1 bedroom apartment with swimming pool is located in Belgodère and sleeps 4 people. It has WiFi, air conditioning and a garden. The apartment is within walking distance of a beach. The village of Belgodère is in the heart of Balagne, between Ile Rousse and Saint Florent. Belgodère is above all the wonderful beach of Lozari, but also its Square Tower. 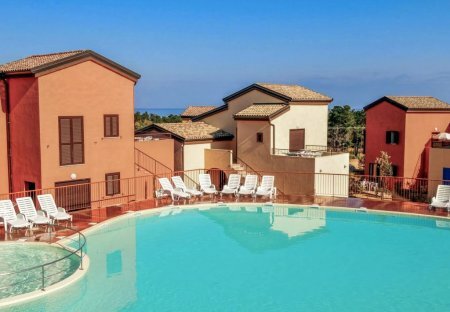 This 2 bedroom apartment with swimming pool is located in Belgodère and sleeps 6 people. It has WiFi and air conditioning. The apartment is near a beach. This 3 bedroom apartment with swimming pool is located in Belgodère and sleeps 8 people. It has WiFi and air conditioning. The apartment is near a beach. This 1 bedroom apartment with swimming pool is located in Belgodère and sleeps 4 people. It has WiFi and air conditioning. The apartment is near a beach. This 2 bedroom apartment with swimming pool is located in Belgodère and sleeps 4 people. It has WiFi, a garden and parking nearby. The apartment is within walking distance of a beach.